As we start to think of the final piles of snow melting and giving way to warm rain and sunshine, it’s time for the outdoor enthusiasts to think about shaking off the winter layers and setting out for the expansive trails, lakes and rivers in the Rockford Region. Nestled in tree-covered northern Illinois, the Rockford area sports enough outdoor adventure – from hiking, canoeing, horseback riding and more – to keep the avid outdoorsman busy year-round. Retreat to the vast trails and waterways of Rock Cut State Park, 7318 Harlem Road in Loves Park, a beautiful Illinois state park with two lakes set on the park’s 3,092 acres. Pitch your tent in Rock Cut’s extensive campgrounds and enjoy evenings under the stars during a weekend camping trip a world away from the stress and hustle of everyday life. Rock Cut features everything a camper needs for a relaxing weekend out-of-doors, from fishing, swimming and boating, to hiking, biking and bird watching. Canoers looking to take the hassle out of planning their next canoe trip should head out to Larsen’s Landing Outfitters, 1951 New Milford School Road in Rockford. Located in southeast Rockford, Larsen’s Landing is a 30-acre wilderness area with wooded hiking paths along a 1/2 mile of river frontage. This Kishwaukee River canoe outfitter offers canoe trips, rentals, livery, group outings, catered picnics, fishing trips and more. Two open fields are nestled within the trees along the river to accommodate post-canoeing gatherings – the perfect setting for a private group get-together. Lockwood Park Trailside Equestrian Centre, 5201 Safford Road in Rockford, is the perfect stop for horse-lovers of all ages. Riders ages 8 and older can enjoy a leisurely ride through Lockwood’s 40 acres of rolling hills, woods and meadows. Trail rides appropriate for first-time or occasional riders are offered on weekends. Junior riders won’t be left out – Lockwood also features a pony ring, wagon rides, hay rides and a petting zoo. And you don’t have to ride a horse to enjoy Lockwood’s beautiful trail system – there are many miles of scenic trails winding through the park available for hiking and biking. Nature-lovers looking for a less strenuous outdoor experience can visit Severson Dells Nature Center, 8786 Montague Road in Rockford. Stroll through Severson Dell’s 369-unspoiled-acres on the paved path or 2.5 miles of trails and enjoy the sights and aromas of an unusual concentration of native wildflowers. Make sure to step into the butterfly garden, where you’ll forget your nagging worries as you watch butterflies and hummingbirds flit carelessly about. The Nature Center also features a gift shop, aquarium and indoor beehive. The Winnebago County Forest Preserve District (WCFPD) provides the mother lode of outdoor adventure in the Rockford Region, managing more than 9,500 acres and 40 sites throughout the county that are open to the general public. Experience lush woods, picturesque streams, dramatic cliffs and dells, unspoiled prairies and native wildlife through WCFPD’s many outdoor offerings, such as hiking, canoeing, picnicking, fishing and bird watching at sites throughout the county. Camping is available at Hononegah Campground, Pecatonica River Campground, Seward Bluffs and Sugar River Campground. For more information on events and attractions in the Rockford Region, visit www.gorockford.com. 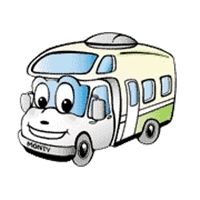 For an RV rental for a camping adventure to Rockford, IL see the El Monte RV Chicago RV Rentals location. This entry was posted in Illinois RV Camping Vacation, State Parks. Bookmark the permalink.